Charter Bus Hollywood, FL. Hollywood Shuttle Buses in Broward County, Florida offer cheap airport shuttle bus to Miami InternationalAirport (MIA) and Fort Lauderdale-Hollywood International (FLL). Our Shuttle Buses in Hollywood are ready to pick you up and drop you off with our fantastic South Florida Chauffeur Service and complimentary baggage service.Your driver will even hold a sign up for you in baggage claim. 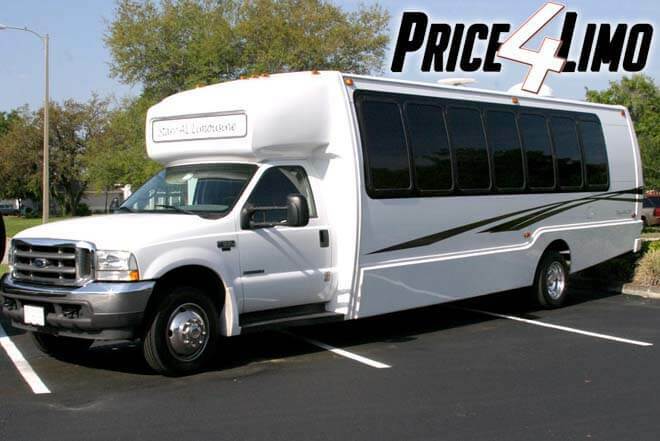 Price 4 Limo's Bus service in Hollywood can be used as the perfect tour bus or activity bus for a group any size visiting theMiami-Ft. Lauderdale metropolitan area, where there are so many things to do. 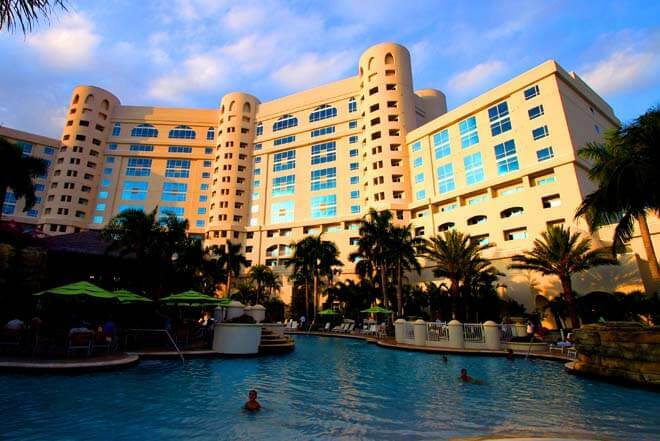 Take a Limo Bus to the Seminole Hard Rock Casino. Hire a VIP Bus in Hollywood for a trip to the Anne Kolb Nature Center or a cheap ride to see the cruise ship at Port Everglades. 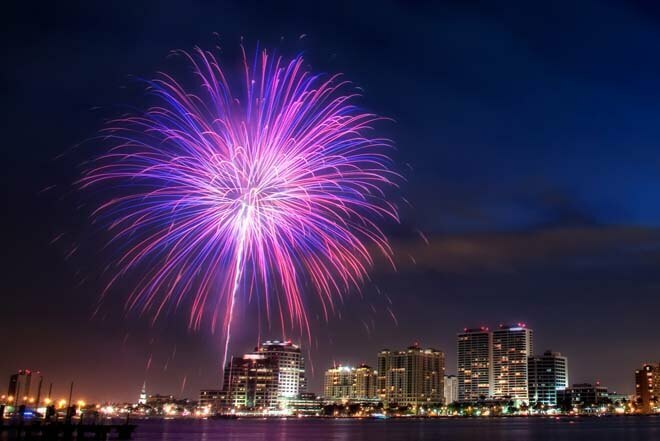 Known as the Diamond of the Gold Coast to the "Venice" of America – South Florida has it all and Hollywood Buses in Broward County are here to serve you! Preview Hollywood Party Bus and Limo Fleet. Hollywood Buses in Broward County provide luxury transportation services for the students and faculty at any Hollywood, Broward County area University any other kind educational facility at an affordable rate. Students from the City's Catholic and Jewish Schools can use the Hollywood Bus Service for religious services or events, like 1St Holy Communion or Bar Mitzvahs. Our chartered vehicles can be used as Beach Buses for Spring Break or for a day trip to the Hollywood Beach Latin Festival or the Greekfest in October. Let our chartered bus drive you and your party to go Jet Skiing on Ocean Boulevard or to the John Lloyd State Park, where tour groups from around the world go for canoeing, wildlife watching, fishing, and scuba diving. Let us be your designated driver, delivering you safely with door-to-door service after a night out at Café Iguana Pines in Hollywood. No one has to worry about finding parking or driving after a few drinks. With so many activities to do in Hollywood why not let our skilled drivers take you to all the sights? Take a Shuttle Bus in Hollywood to Hollywood's North Beach Park or visit the Bill Swamp Safari where you can see both alligators and snakes and all sorts of critters. Or take the young ones to Arts Park at young Circle, the 10-acre park in Downtown Hollywood with its own children's play area and interactive fountain. And even if you're here just for business, we encourage you to take our Hollywood Corporate Bus Service so we can shuttle you and your company to the conference center at Goldbletter's or the Marenas Resort. If you are traveling with family, take a field trip to the Hollywood Historical Society or the International Swimming Hall of Fame. With Hollywood charter buses everyone will arrive to their destination in style and leave feeling relaxed and excited and relieved that they won't have to deal with chaotic Broward County traffic. A mini bus in Hollywood can even be used as a Bachelorette Party Shuttle or Wedding Party bus to keep everyone together and safe and comfortable about the day's events. 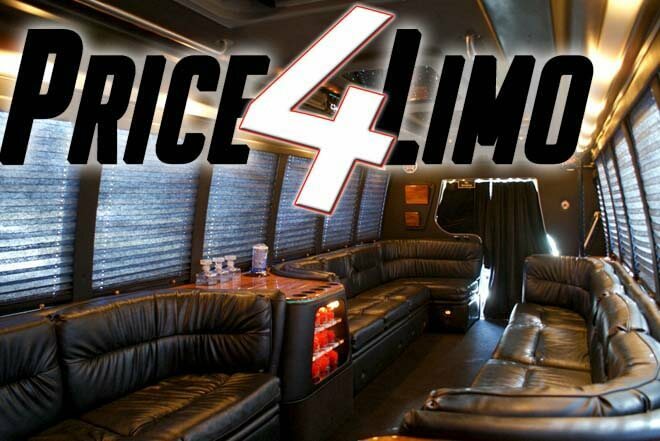 Price4 Limo's Hollywood Bus Service will take you and your guests anywhere in Florida safely and in comfort. 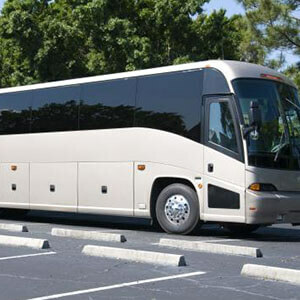 Our Driver-for-Hire coaches include high-end courtesy service and extra storage space. Whether you need to stock up on food at the a local supermarket before heading to the Sea Turtle Resort or a well-deservedmassage at the Holistic Day Spa and Wellness Center, Price4Limo will find you the very best and most affordable Hollywood VIP Charter Bus service. Don't get stressed out with the madness of Hollywood traffic. Stop using other overpriced bus rental services in Hollywood and let us give you the most affordable limousine and bus service that Florida has to offer! Fill in your travel information on this page. Let us know your personal requests and corporate bus transportation needs when your reservation agent contacts you. Get a bus quote instantly on Price4Limo - the best place to book your VIP, Charter or Shuttle Bus Rental Service in Hollywood, Florida.